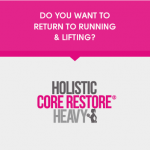 The B Fitness Holistic Core Restore® programmes are the foundation to your fitness and wellbeing. Ladies, it’s time to take back control. 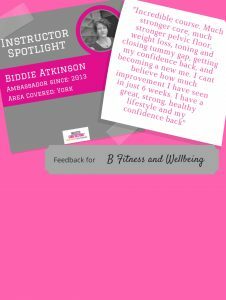 Join me, Biddie, your only Holistic Core Restore® coach in the East Riding of Yorkshire, and reclaim your core, confidence and control in the only dedicated exercise programmes that focus on creating a stronger core and pelvic floor- for life. Is this the year that you take control of your Pelvic Floor, return to jumping/running/sneezing with confidence? Is this the year that you finally address that nagging low back pain or get a better stronger core and tummy after your babies? If YES, then read on! Build a stronger core that will continue to support you in the years to come. Designed for women in all life stages, these fitness programmes gives you back control of your pelvic floor and core strength and health. Answering yes to any of the following? Do you suffer from those “oops” moments when you laugh, cough or sneeze? 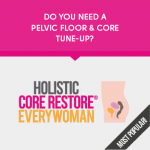 Do you want to regain control of your pelvic floor after childbirth? Do you want to tighten your tummy and restore your confidence? Are you suffering from early prolapse or abdominal separation symptoms? Do you have lower back or shoulder pains? 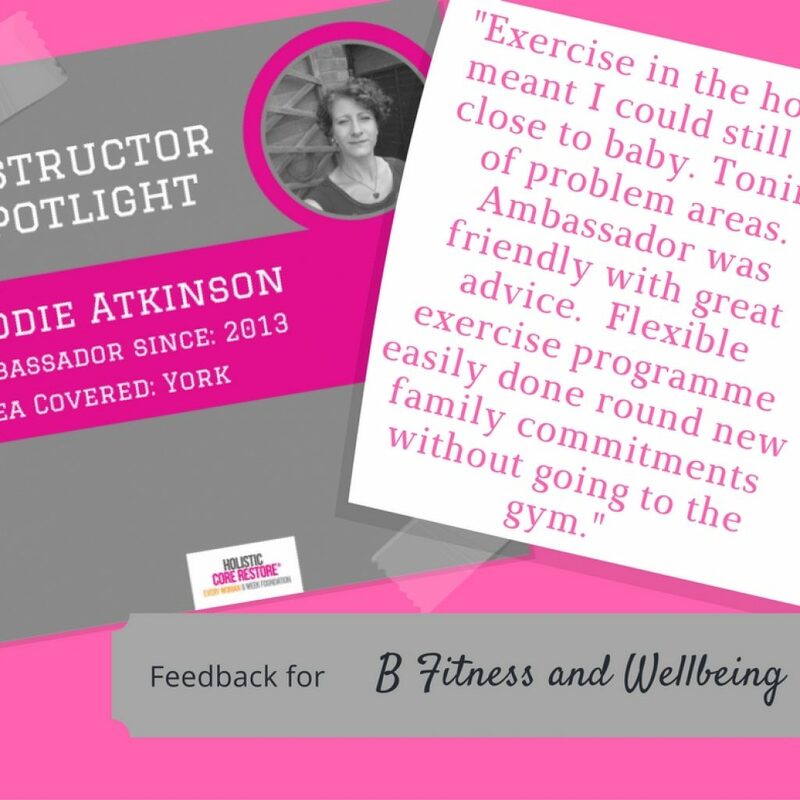 Are you looking for a low impact fitness programme? Do you want to stop occasional bladder weakness controlling your life? 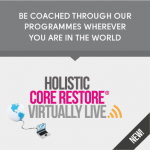 The Holistic Core Restore® programmes were created for women who are ready to take charge of not only their Pelvic and Core Health but also their total wellbeing. Women who are ready to invest in preventative strategies and deep restorative strategies as they go through their lifephases knowing that ‘self-care’ is the greatest gift any woman can give to herself. 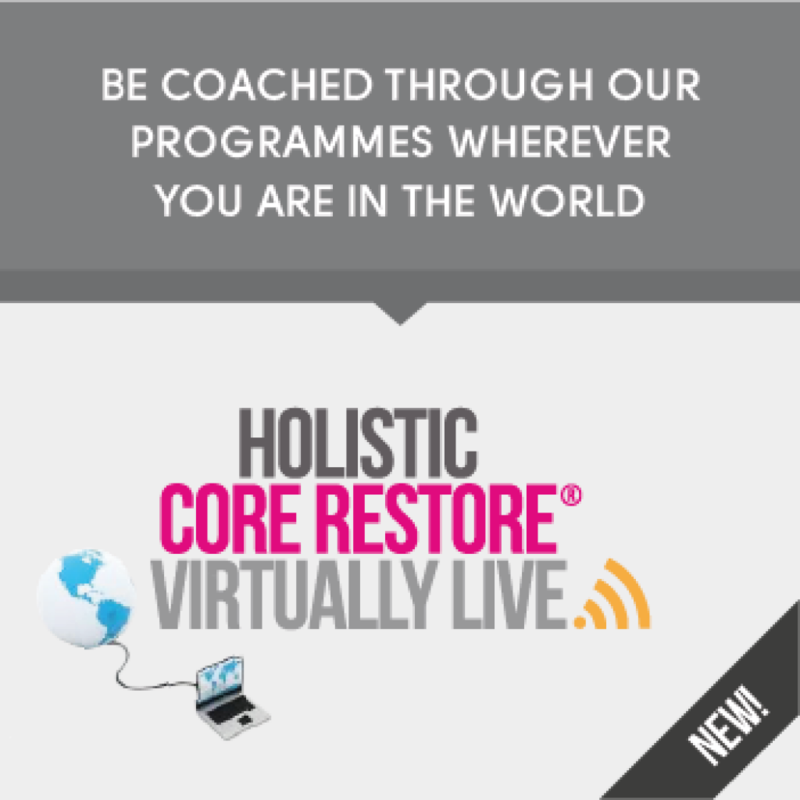 The Holistic Core Restore® programmes are for women who may or may not have experienced some degree of pelvic dysfunction and want to empower themselves through education and CONSISTENT ACTION so that they don’t become a statistic. 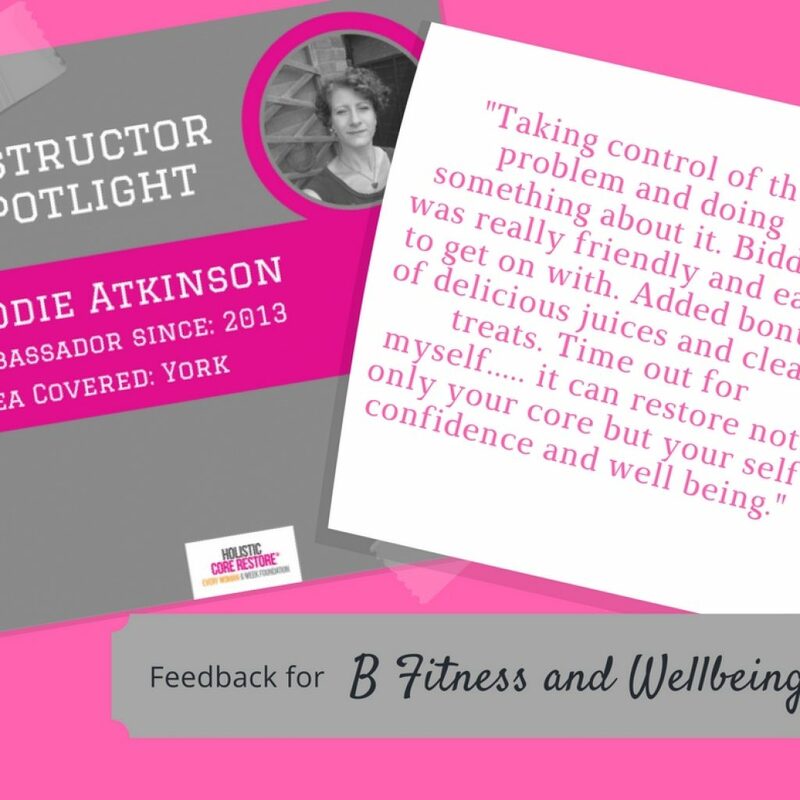 All the programmes are for women who understand that their nutrition has a key role in their Pelvic Health and are ready to make the changes that support healing and wellbeing. The fitness programmes use body weight exercises and a variety of equipment (which you get to keep). It is a perfect blend incorporating the principles of pilates and yoga, stretching, bodyweight and resistance exercises to strengthen your entire body. 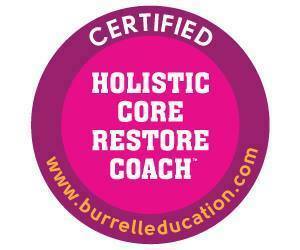 Together, we focus on your core foundation which can improve mind, life and body. Find out how these courses can help you and which programme would best suit you…there is something for EVERYONE!! For so many of us, fitness = strength, but in reality, fitness = strength, mobility, flexibility and the ability to move between tension and relaxation with ease. This programme is a chance to focus on you for 6 weeks in a progressive and holistic way to help you connect with your pelvic floor and strengthen it so that it is fit for purpose in small group or 1-2-1 training. 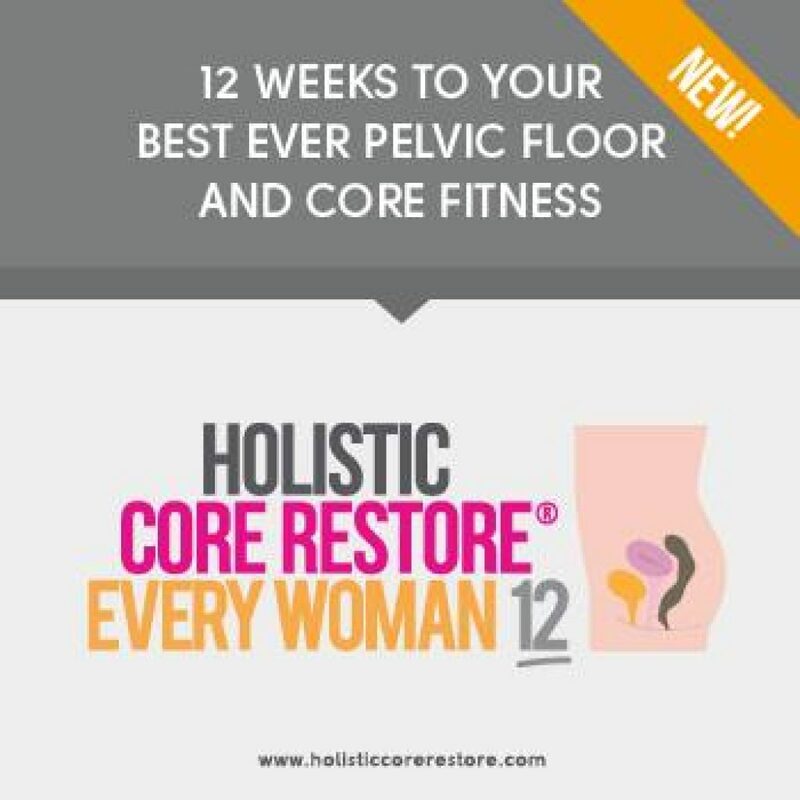 This programme is a chance to focus on you for 12 weeks in a progressive and holistic way to help you connect with your pelvic floor and strengthen it so that it is fit for purpose. 6 weeks Face to Face, then 6 weeks online so you can continue at your own convenience and build on all you have created. 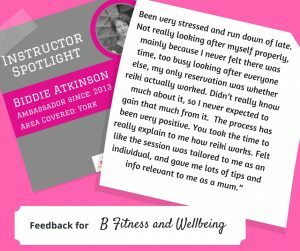 The 6 weeks online programme is ideal to refresh yourself if you have been part of this programme already and is easy to fit in at home, or at work with updated exercises and so much more. Common to many women post birth, or later in life diastasis recti can be described as the stretching, weakening and dysfunction of the front and sides of the abdominal muscles and includes the connective tissues and fascia of these muscles. 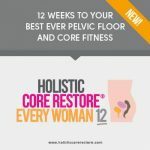 This is the gold standard for helping women concerned about their tummy on a bespoke 1-2-1 basis. Then once you are ready to move on I give you our monthly Heat programme, designed for increasing, building up your strength flexibility, stability and control. 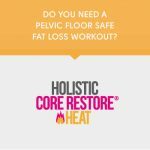 In Heat, metabolic training meets movement based pelvic floor & core strength exercise. We work hard but mindfully, using the breath with timed interval training for a focuses core and pelvic floor strength class. 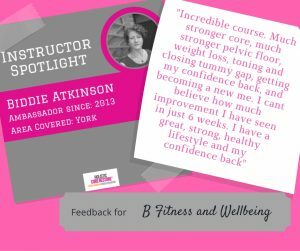 With no jumps, no burpees, no crunches and ‘Ta -Dah’ you have our effective, fat loss pelvic floor and core safe workout ideal for all women including those who’s core and pelvic floor needs a little extra TLC. 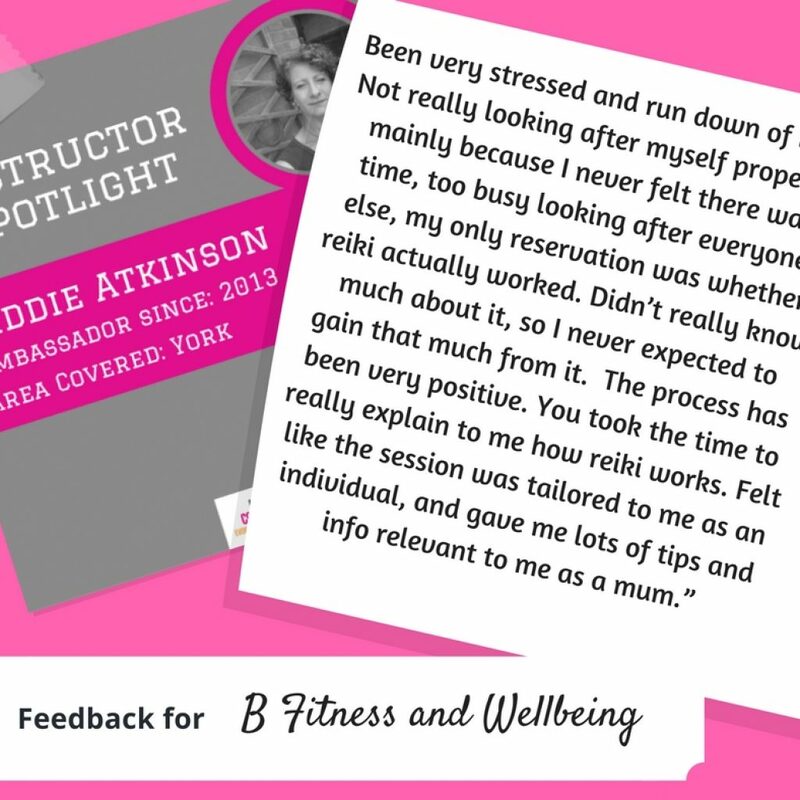 This programme is for women wanting to get back to running and lifting weights over 12 weeks run as personal 1-2-1 coaching with progressed bespoke exercises designed to enable you to get back to doing what you love. Aches, pains and changes to one’s posture are a standard part of the Pregnancy to Post Natal life phase and indeed the life of any woman and any women simply ‘put up’ with muscular aches and pains when there are simple, time effective, self-care solutions available to everyone. 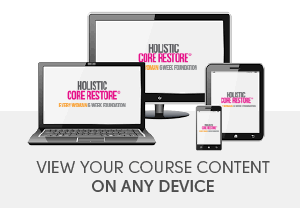 Holistic Core Restore ® ‘Release’ is an ESSENTIAL part of any woman’s self-care toolbox. Simple ways to ‘release’ muscular tension. Remember: the function of your Pelvic Floor, the way you breathe and the healing of your Diastasis all depend on optimal postural alignment…it truly matters, so how about we prioritize moving freely in our daily life? 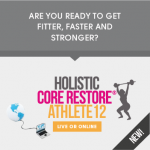 Introducing our sparkly new 12-week online programme, specifically designed to make you faster, fitter and stronger for longer. As well as completing weekly online workout videos, you’ll join our exclusive private Facebook group where you’ll get additional workouts and challenges, as well as all the support you need to be fighting fit by the end of the programme. 12 weeks of upping your game, intensity and effort. 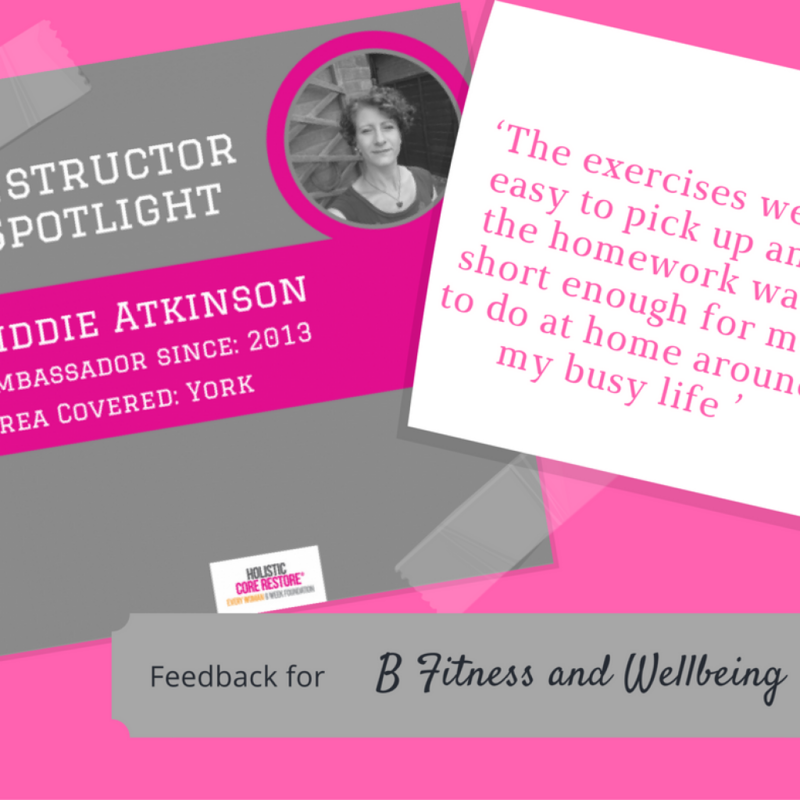 You will attend once a week for 12 weeks initially where we will progress through the exercises online at your own convenience or with me in person. 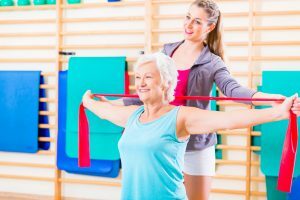 Recovery is for women who are either living Pelvic Organ Prolapse or recovering from POP surgery and know they need to return to a ‘moving life’ but want to do so in a way that is respectful to their new ‘health status’. Please ensure you read through them online and be aware that they may change occasionally as needed. The cost of the course is non-refundable and non-transferable except by prior discussion and agreement between us.